I’m delighted to share with you this interview with Rosa Aronson, who’s the Executive Director of the TESOL International Association. We discussed how TESOL International tries to fight against different forms of discrimination in our industry, including that of Non-Native English Speaking Teachers (NNESTs). You can find position statements issued by TESOL here. 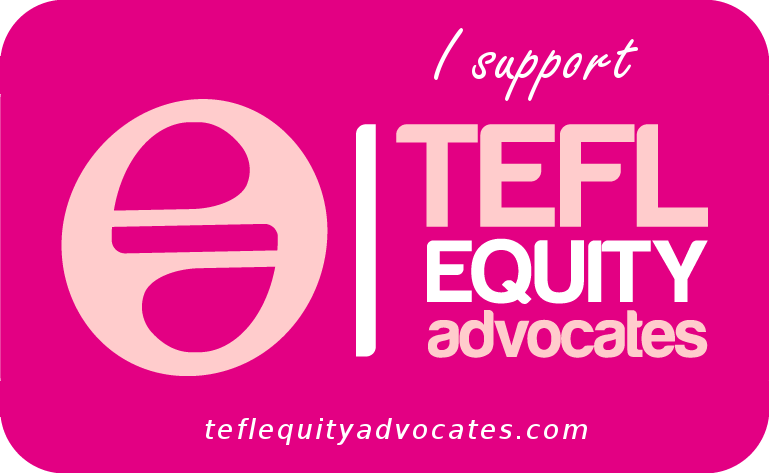 On their website TESOL also lists third-party job ads and I asked Rosa how they ensure that all ads are in-line with TESOL’s anti-discrimination policies and free of any discriminatory language. You can find the job listings here. Finally, we discussed how local Teaching Associations could get involved in supporting equal employment opportunities for English teachers. Rosa Aronson is the Executive Director of the TESOL International Association (TESOL). A former Fulbright exchange teacher, Dr. Aronson started her education career as an English as a foreign language (EFL) teacher in France. She holds a Master’s degree in English Linguistics from the University of Aix-en-Provence, France, and a Ph.D. in Social Foundations of Education from the University of Virginia, in the United States. In 2008 Aronson earned the Certified Association Executive (CAE) designation from the American Society of Association Executives. In 2015, she was named a Fellow of ASAE, an honorary recognition for service to the association profession. Prior to her service at TESOL, Dr. Aronson had 24 years of experience in nonprofit association management with the National Association of Secondary School Principals (NASSP), headquartered in Reston, Virginia, USA. Her most recent presentations have been in Dubai, UAE; Kabul, Afghanistan; Miragoane, Haiti; Iquique, Chile; Paris, France; Pakistan and various conferences in the United States. Dr. Aronson is bilingual (French). I have tried to apply for a job many times through this website but unfortunately, many ads specify being a native speaker to be eligible for a specific position. Kindly remove such ads for credibility purposes. Note: the discriminatory ads are from interlink.edu. Thank you for your comment. I am wondering if you are actually looking at our website. We currently have one Interlink job post on our website, which does not have any discriminatory language in it. Also, please know that we now screen job ads BEFORE they are posted on our website to ensure no discriminatory language is included in the posts even for a short time. In TESOL convention 2016 celebrated in Baltimore, I was descriminated by an Arabian-Saudi university which was recruiting teachers to work there. I was with a friend of mine and while we were approaching to the stand of this university, they said: sorry,it is just for people who were born in countries like Canada, USA, New Zeland, and other cities which I don`t remember. I was in shock!! and at the same time angry because we were discriminated because of been Latin American! It is the first time I face this kind of discrimination. What will happend in the future with non-native English teachers? What kind of actions TESOL should implement to avoid this kind of problem? I am sorry you had this experienced at TESOL in Baltimore. Did you talk to any staff or volunteer members to relate your story? I asked my convention staff if they had heard anything but they didn’t. Please know that when employers apply to be part of the Job Market Place, we share with them our policies and guidelines. Although we cannot police everyone, it is important for us to know when these incidents happen, so that we can prevent them in future years. If you have any information on this particular employer, please send me an email at raronson@tesol.org.